– Joe Zawinul of the Jazz fusuion group Weather Report. – Buster Baxter, a friend of Arthur the Aardvark. Unfortunately, both of these views are correct. But I suspect it’s more the fault of the teller than of the story itself. So to get to the bottom of it all, I started this little enterprise. In this journal I explore the fascinating sketches, odd tales, curious connections, and quirky biographies that often get lost amid the clutter of the historical record of pottery making. 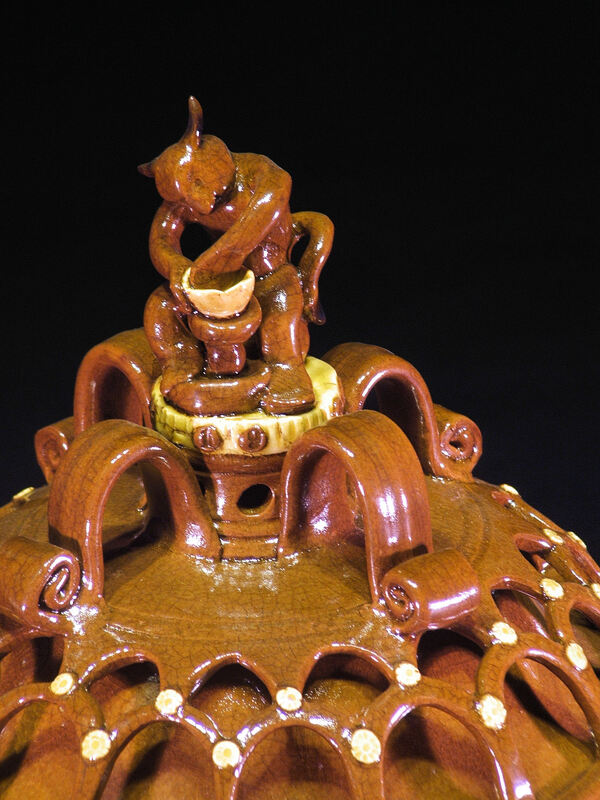 This Day in Pottery History is one potter’s journey through that world. Most redware potters today do or have read extensively about this particular branch of the decorative arts. These folks can attest to the fact that most books on or including redware contain all sorts of information that can be considered somewhat dull to the general reader (but interesting to us). But in just about every published account of redware and early potters, there can be found little nuggets of “color.” Fun little factoids that give the whole enterprise flavor. These are the “odd little sketches, quirky biographies and unexpected connections” that I revel in. In this travelogue called “This Day in Pottery History” I try to compile some of these gems while throwing in a few additional connecting links. I’m standing on the shoulders of all those who brought us to this point, just to see what the view looks like from that angle. great website; I’m learning alot. Did early Hawaiian people throw pots or make clay objects? The hawaiian islands do not have clay. It is all volcanic rock. Very interesting site. I look forward to reading more of your posts. I’m a potter in Nova Scotia (since 1977) a use a local brick factory clay dug right out of the pit. Fabulous for throwing. I have a medium grey vessel-open top, small handles Stamped R WENTWORTH (second line) Norwich. I know the vessel came from a kiln in the vicinity of the Leffingwell Family. My Family John and Delia Pounch from 100 Town St.
Any available information on the origin and value of this piece. It is in excellent condition, 2 small shallow chips in rim. My son got his arm stuck in the vessel, he was 2 yrs old and I refused to let my husband break the vessel-liquid soap worked and he was fine-arm intact. I want him to have the vessel as a momento. I have 2 other stoneware pots without any markings. Is there any interest on behalf of Connecticut Museum to have any more display pieces from that era? I can supply photos if interested, one is pitcher, one is an open vessel no lid.